One of the most important things for a frugal life is getting food costs under control by cooking at home. If you are in charge of getting a meal on the table every night but you have never really learned to cook, things will get boring in a hurry. Lucky for you there are a few things you can do right away to jazz up your dinners without spending a fortune on cooking school. Or even a small fortune on cookbooks. Here are five small things that will bring the pleasure back to dinner today. 1. Learn how to use heat properly. People usually think of a recipe as being a matter of ingredients combined with techniques, but there is always a hidden third element–heat. Learn the difference between a simmer, where there are a few small bubbles and a rolling boil, where the bubbles are fast and large, and there is a lot of movement in the water. If you put pasta in a pot before it comes to a rolling boil it will come out pasty and stick together. If you boil a stew instead of simmering it, the stew will be tough. Proper temperature is even more critical in baking. You will need to get an oven thermometer and use it to verify the reading on your oven dial. Oven thermometers can be purchased from various retailers for between ten and twenty-five dollars. A dull knife is dangerous and will not do the job when it comes to cooking good food. You should have a selection of knives for various jobs, including a 10 to 12 inch chef’s knife, a paring knife, a slicer for carving meat and slicing bread, a fillet knife, and a cleaver for butchering a whole chicken. Each has its own special use, which you will learn as you become more experienced. The purchase of knives is one place not to buy purely on price, but rather to get the very best quality you can. Good knives will last a long time if you care for them properly. To sharpen your knives, buy a whetstone at the same place where you bought your knives. See if the cutlery salesperson will show you how to use it. Also invest in a steel, a long thin rough tool that fits on the round hole in a knife holder. Run the knife over the steel after each use. If this sounds like a lot to learn, take your blades out to a sharpening service. Now that your knives are in good shape, it is time to use them. 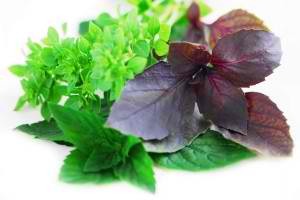 Fresh herbs will add real pizzazz to your culinary creations. Try fresh a fresh basil chiffonade in your pasta. To chiffonade an herb just means to shred it. Use your sharp chef’s knife for this. Or try fresh oregano or mint. Fresh herbs are very expensive, but it is very easy to grow a few of your favorites on the windowsill in the kitchen. Just clip off what you need and the rest will keep growing. It is a much better idea than spending three dollars on a bunch of mint big enough to make two cups when all you need is a tablespoon. 4. Make your own stock. There really is no substitute. Whether chicken, beef, or vegetable, when you make your own you control the quality of the ingredients, the spicing, and the amount of salt. You can buy disfavored chicken parts such as backs fairly cheaply at your local meat counter. Or save these parts when you cut up a whole chicken for dinner. Freeze them and when you have about three to five pounds of frozen bones, defrost them and make the stock. Beef bones are a little more expensive and need to be roasted in the oven first, but the result is worth it. Please don’t treat vegetable stock like a mere afterthought. Feel free to use leftover raw vegetable pieces of course, but make sure they still look tasty. And supplement the leftovers with some fresh vegetables bought just for the stock. To prepare, consult any general purpose cookbook for recipes. 5. Learn how to use salt properly. 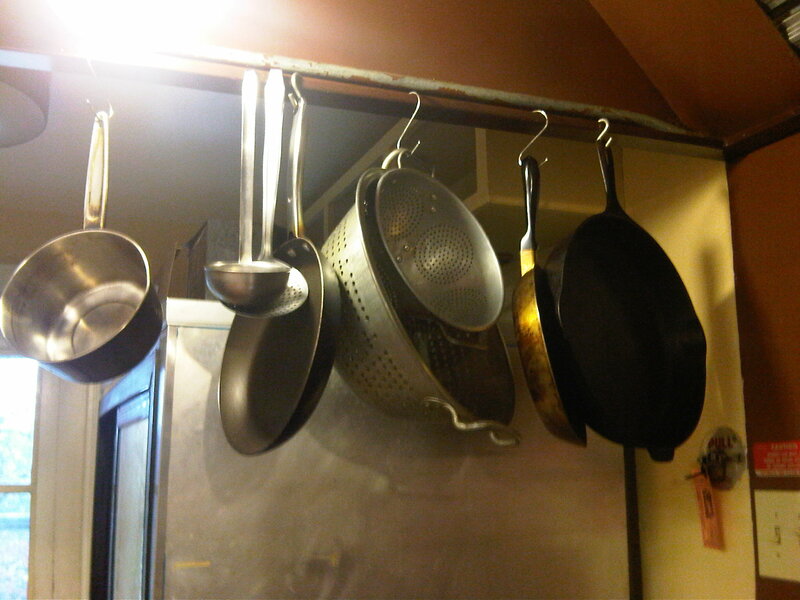 Now you are ready to go back to the kitchen with a fresh perspective. Try these five simple tweaks and dinner soon will become an event you look forward to each day. No doubt you will discover many more little tricks as you spend more time in the kitchen. In the meantime, happy cooking, and bon appétit!